Roger and I drove down from Parker to Quartzsite. We weren’t exactly sure where there was an Escapees group. 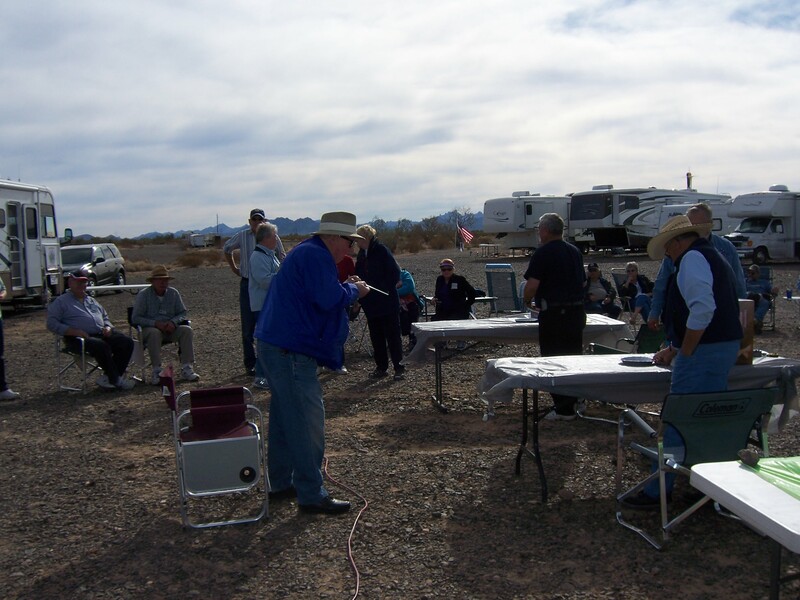 Once in Quartzsite we checked with a camp host who mentioned there was a group camped out at mile marker 99. That is about 5 miles out of town and in a free BLM area. We drove out there and sure enough found the Chapter 37 rally. Escapees are the most friendly people you will find anywhere. We asked if we could join up with their rally and for $25 ($15 for the cost of the rally and $10 for the cost of food which included 3 meals) we joined up with the group. This is a pic of the food lines. One table is for the main dishes and the other for the deserts. Lots of delicious food. The rigs were parked in opposite directions since our solar panels were on opposite sides. They were tilted to take full advantage of the winter sun. 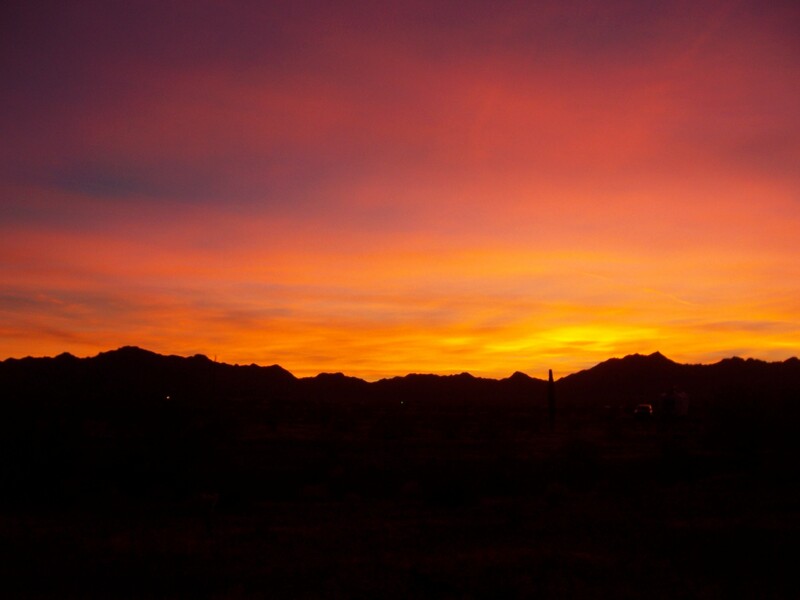 Each night we had a campfire and watched the sunset and each night was just as beautiful as this one. 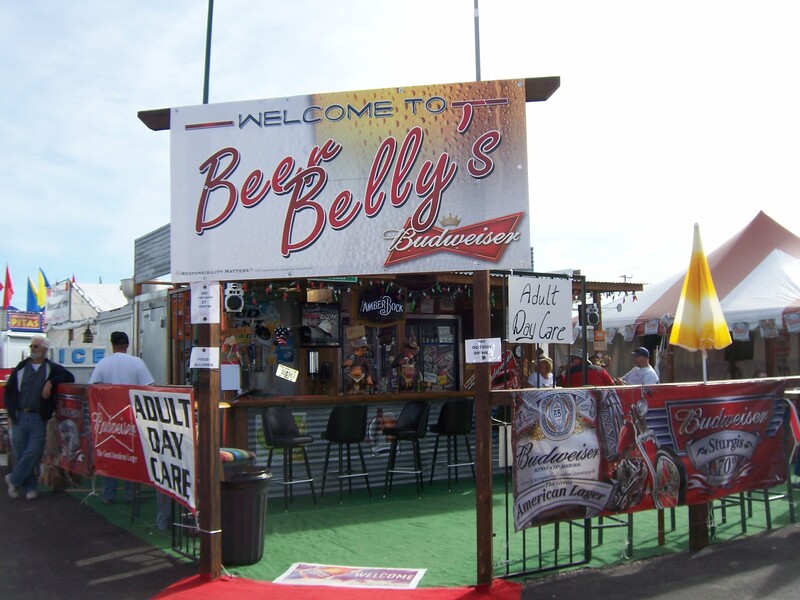 One day we drove into the Tyson Wells section of Quartzsite to check out all the vendors. They had everything from A to Z. Anything you could possibly think of that goes with an RV. They even had an “Adult Day Care” which I showed in this next pic. The rally even had a triathlon. I signed up for it and had a ball. This pic shows one of the guys in our group trying to blow a tooth pick threw a straw and into a bowl from about 15′. Not an easy task. Our group came in 2nd and we won a bunch of candy. While on a hike I heard some very loud music in one of the campsites farther down from us. Being curious I decided to check it out. 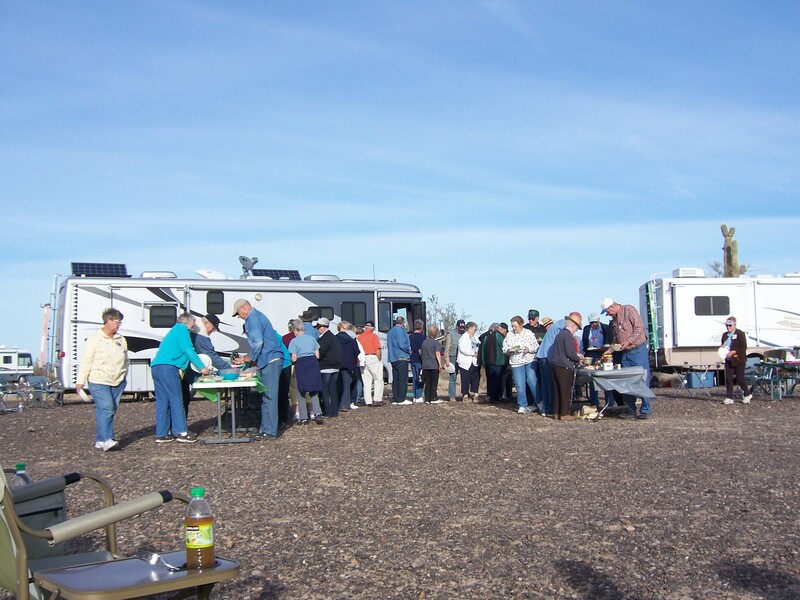 It was a huge family that comes from all parts of the US and meets up every year at this campsite and spends a week together. How neat! They had a 6 piece band with all their electronic instruments and were playing and singing away. They asked me to sit down and I joined them for a while all the time enjoying their music and conversation. After 6 days with Chapter 37 we moved on down the road to meet up with our Lazy Daze friends. It was really a fun rally. Thanks everyone in Chapter 37 for allowing us to join you. 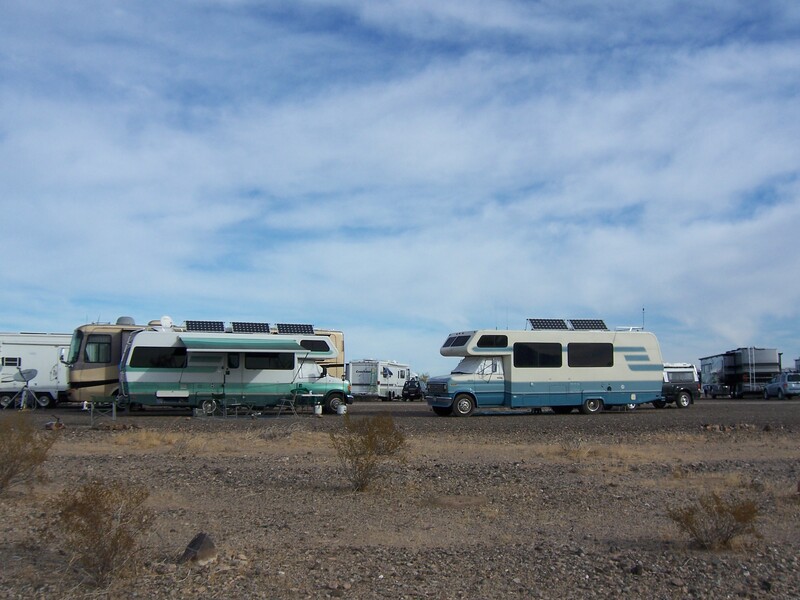 This entry was posted in Arizona, BLM Land, Boondocking, Chapter 37 Rally, Escapees, My Friends, Quartzsite, RV Clubs, RV Rallys by Jim Melvin. Bookmark the permalink. Life is truly rough for you Jimbo!